Shelly A. Doerr, a paralegal with our wealth preservation and estate planning team, is celebrating her “Sweet 16” as a cancer survivor. Shelly has been a participant in the Susan G. Komen Twin Cities Race for the Cure® since her diagnosis in 1999 at the age of 36. She also participated in the Susan G. Komen 3-Day in 2008 and 2010. In 2006, Shelly started volunteering her time on Saturday mornings during Race weekend. Now, she volunteers on Saturday morning and takes a couple of shifts on Friday, too. 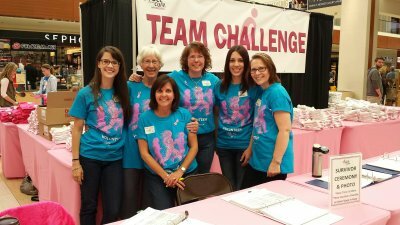 “Friday is my day alone to volunteer in whatever capacity I’m needed, but the Saturday morning shift has always been a friends and family affair.” Shelly and her group of volunteers are usually found in the Team Challenge Packet Pick Up area on Race weekend. 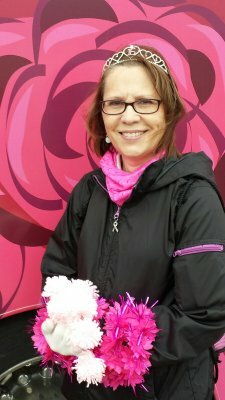 Shelly has been a member of the Pink Honor Roll since 2012, a program that was created to encourage and recognize the efforts of Komen Minnesota’s top individual fundraisers. She has raised over $47,000 to support innovative programs in the area of breast health and breast cancer screening, treatment, treatment support, survivorship, health care delivery, and research. According to Shelly, “I could never have reached this level of fundraising without the ongoing generosity, love, care, and support of my family and friends."